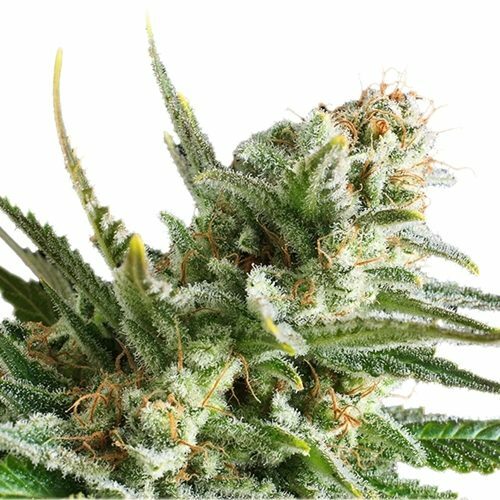 As suggested by its name, Sensi’s latest feminised Skunk hybrid mixes the pure Afghani genes of Hindu Kush with the explosive vigour and unstoppable performance of Skunk #1. 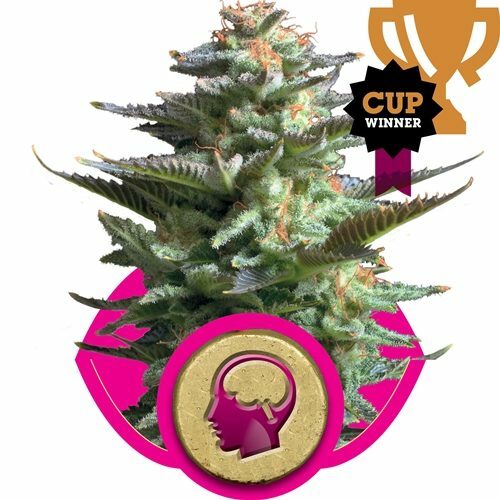 Less well known is that there are several generations of cross-breeding in the history of the original Skunk Kush that add a distinctly different character and flavour to both the regular strain and the new all-female version. 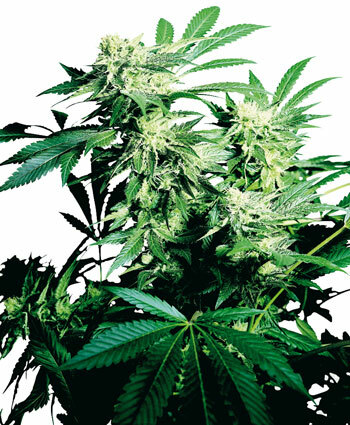 Skunk Kush has the thick stems and dark, leathery foliage of her Afghanica parent and displays Skunk’s vigour and size, typically gaining 150% or more of her vegetated height in flowering, occasionally more. Bud formation is the particular winner in this pungent, hashy melting pot of cannabis cultivators. 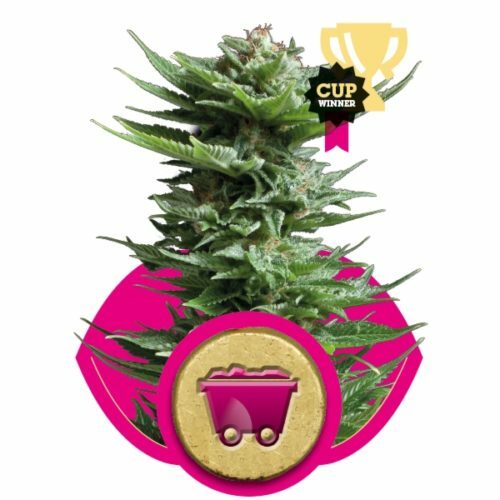 Thick Afghani-Skunk nuggets are normal when growing the all-female version of Skunk Kush, and our favourite phenotypes have an incredible, towering flower structure composed of grape-like bunches of buds. The swollen calyxes make for solid, semi-open buds with good weight and a large surface area for resin glands to develop. Some trichomes develop heads so bulbous that observant growers can actually watch them swell and change colour from day to day as harvest approaches. 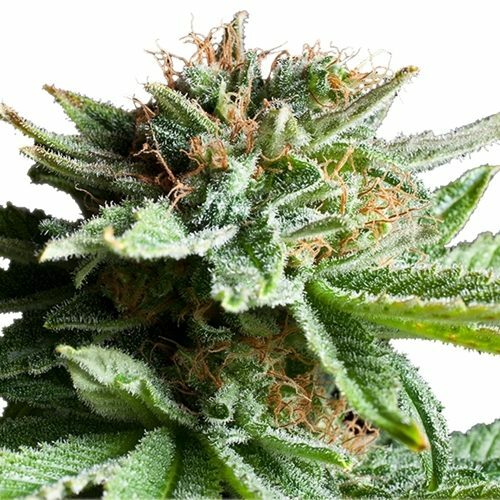 When grown in their natural shape, or with lower branches removed, the central bud of Skunk Kush will take up half the main stem on most plants, and up to 75% on the more open, Sativa-leaning females. Across the strain, musky Skunk and dark, resinous Afghani aromas are complemented by a sharp citrus zest. The star phenotypes take the fruity tang to sensational heights with lusciously sharp lemon and menthol flavours that linger on the palate and open up the airways. A booming body-stone is the most powerful effect felt from the Afghani-influenced females, while the Skunk-Sativa throwbacks add a sizzling sideways counterpunch. 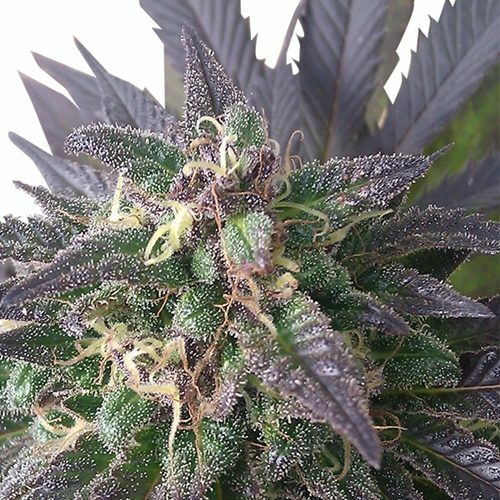 A dreamy, giggly, red-eyed high can always be expected from feminised Skunk Kush!